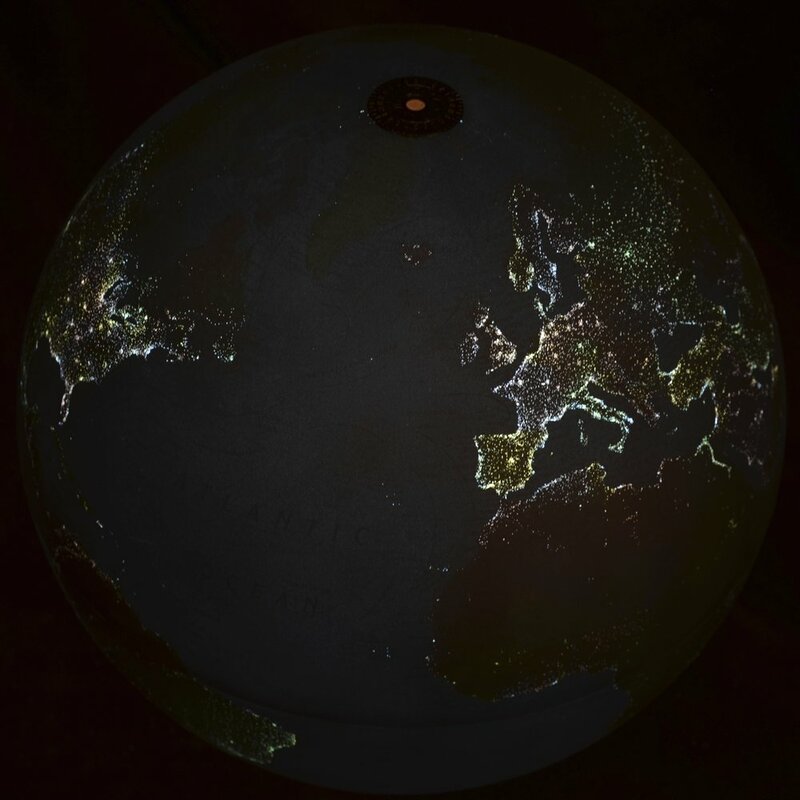 The military objectives of the US Air Force Defense Meteorological Satellite Program have created an aesthetic byproduct - a composite photo of the planet, taken during nighttime hours. 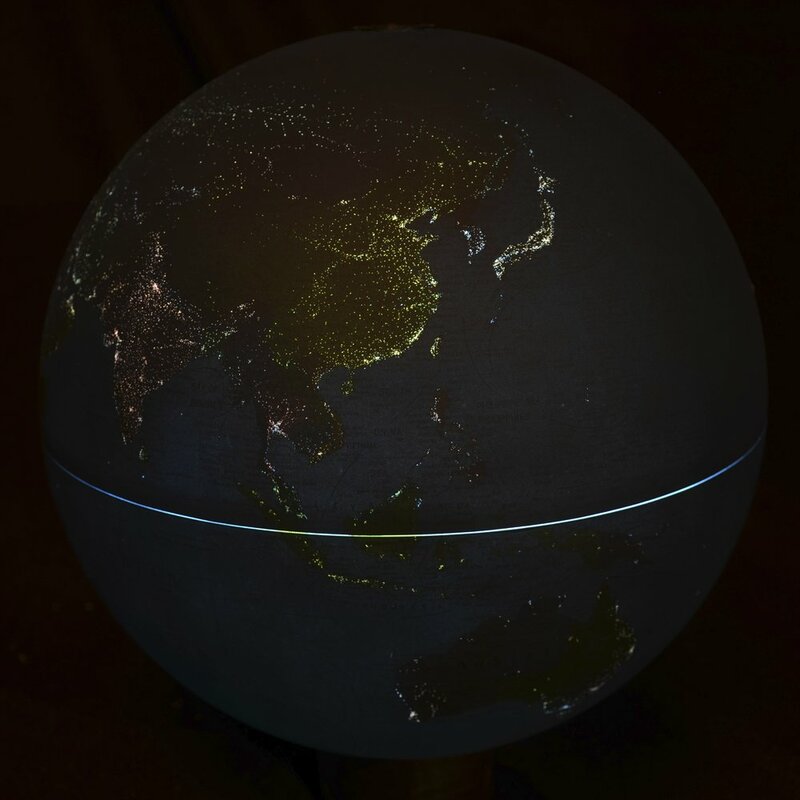 More than 99% of these representations of actual light sources are indications of human activity on the planet. For example, this image includes more than a million man-madefires, most of them in the Third World, chiefly propagated for agricultural purposes. 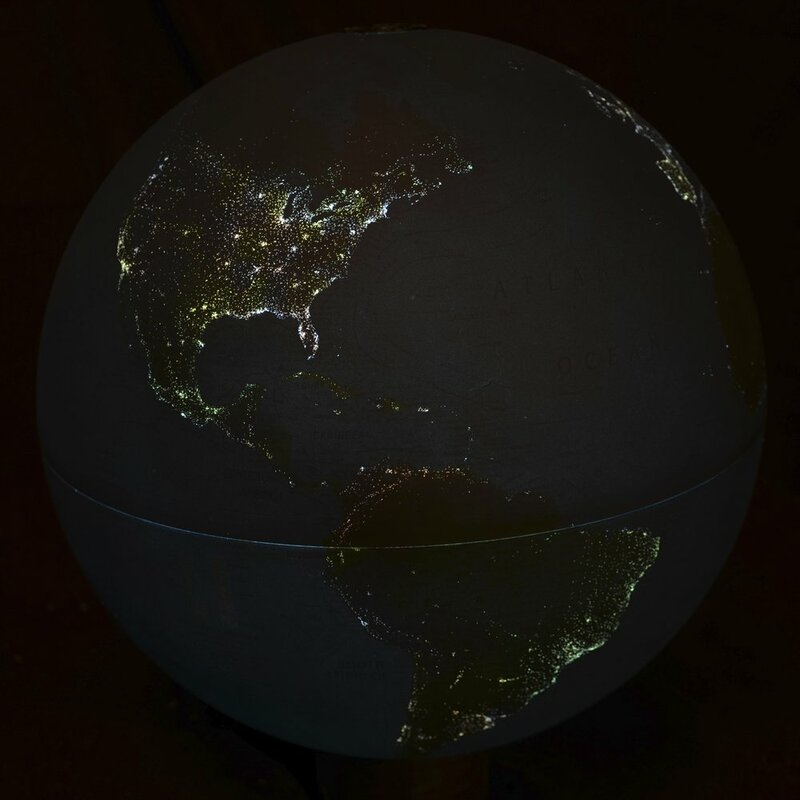 Population centers are easily identified; however, the amount of light represented here is not necessarily proportional to the population size.